This little reindeer is so cute! It’s one of my favorite images from Whimsy Stamps. I colored the cutie with Copic markers and added shimmer to the ornaments with a Wink of Stella clear pen. I then cut it out with scissors. Next, I created a top-folded card base using beige cardstock, similar to kraft cardstock. I splattered some white ink onto the card front to make it look like falling snow. I fixed Rudolph with foam pads to the background for more dimension. 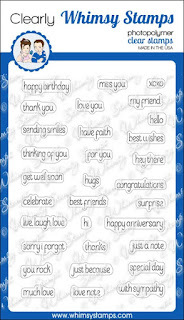 To finish off my card, I stamped the best wishes in black onto white cardstock and cut a speech bubble around the text. 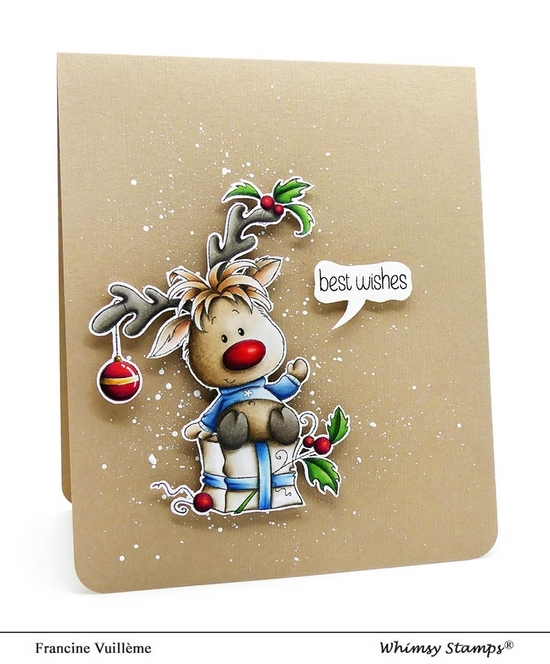 The best wishes is from the Everyday Mini Sentiments set. I like to create clean and simple Christmas cards using non-traditional Christmas colors as I did here with the background. Make sure to visit the Whimsy Stamps blog for more inspiration and don’t forget to check the newest release HERE! That’s all for me today! 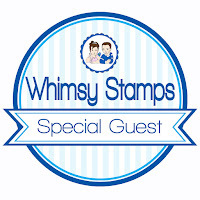 Thanks so much to Whimsy Stamps and Debbie for having me as a guest!!! So, so adorable! Your coloring is absolutely awesome!! That little reindeer looks so dimensional with your fabulous coloring! I'm also in awe of your fussy cutting skills - perfect!! That is the cutest reindeer! Love this card! Too stinkin' cute, Francine! Beautiful Copic coloring and I love how you created your speech bubble...so clever! MISS your videos on YT. This is absolutely ADORABLE, love your coloring as always and the "snow" is a wonderful effect! 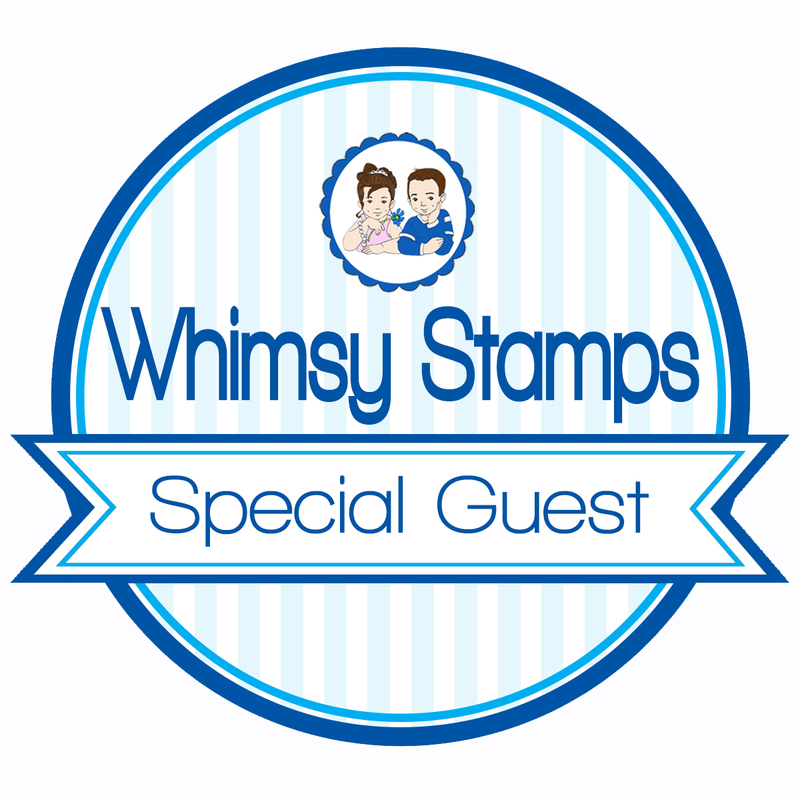 THANK YOU for being an outstanding SPECIAL guest designer for WHIMSY STAMPS...we hope you will join us again Francine :o)! I love the CAS design and the fun image. Your coloring is wonderful. 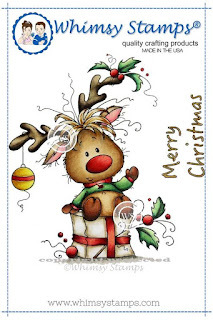 Thank you for sharing this card.